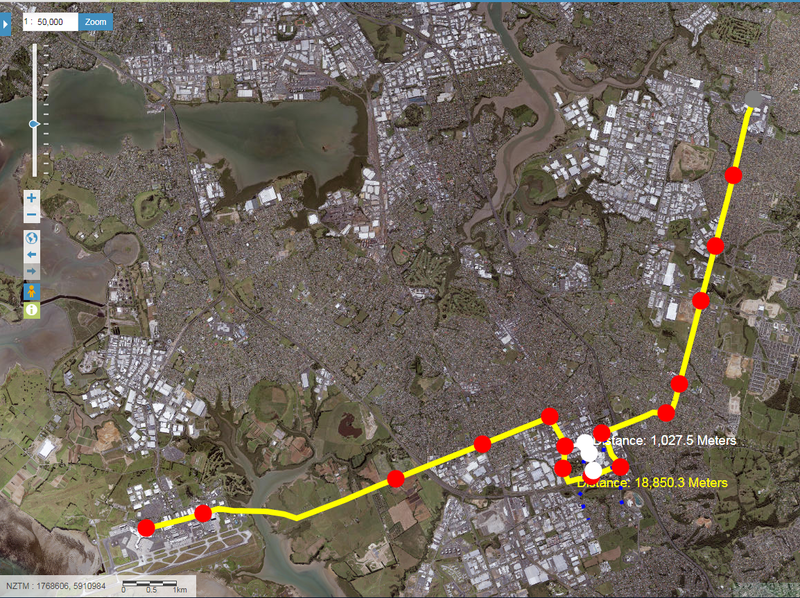 Momentum continues for both the Airport to Botany Rapid Transit (the Southern Airport Line) and the City Centre to Mangere (Northern Airport Line) Light Rail as business cases and tenders continue through the mills. In any case Airport to Botany offer some salient lessons for its City Centre to Mangere sibling including inherent “challenges” to the wider delivery of the Northern Airport Line (and because of said challenges why Airport to Botany being Light Rail is more viable in the first place). 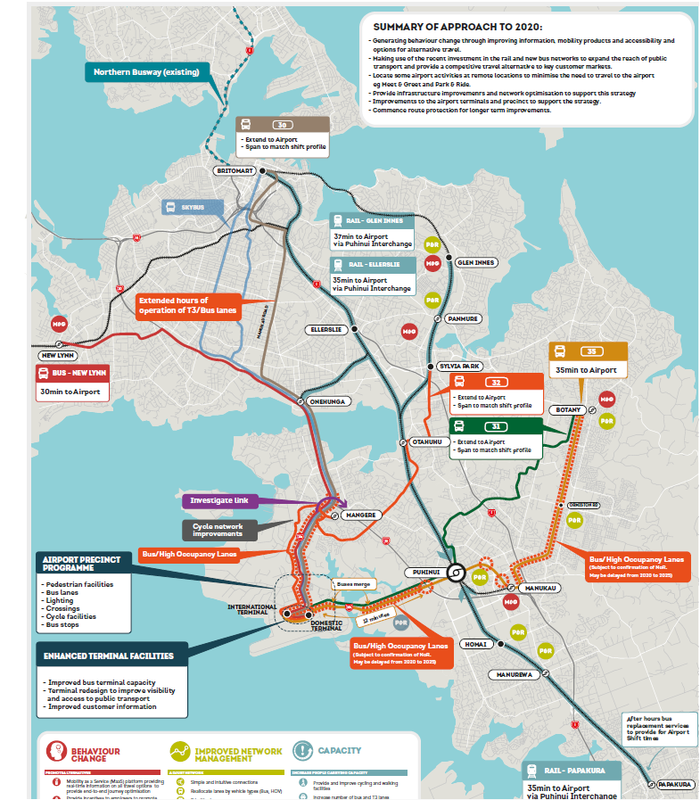 As NZ Transport Agency continues the processes with City Centre to Mangere/Airport LightRail , its southern sibling – Airport to Botany RapidTransit via Manukau and Puhinui Station handed by Auckland Transport throws up so interesting questions around integrated developments or more to the point community building. TransitOrientatedDevelopments or IntegratedPlanning have picked up a lot of attention recently in Auckland as the Government Policy Statement makes it very clear on delivering both in urban areas. 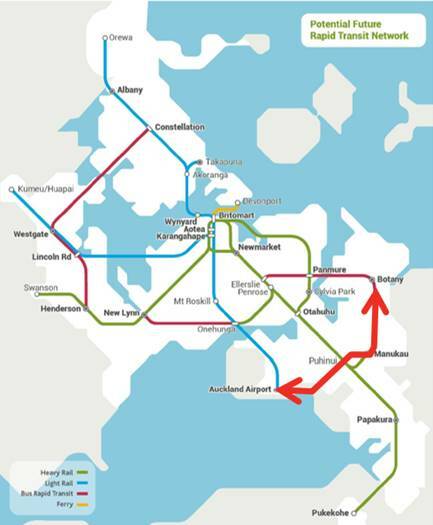 Again while NZ Transport Agency continue to work on the processes for City Centre to Mangere/Airport LightRail , again its southern sibling that is Airport to Botany RapidTransit offers insights how to implement TODs or Integrated Planning effectively. It is more than just about a transit line, it is also about consequences to the existing hashtag#UrbanGeography and the future Urban Geography around those lines. Finally one thing NZ Transport Agency will need to work out with City Centre to Mangere LightRail is the zoning of land around the corridor. Most of it is single use zone (residential and the odd bit of industry) with any multi use not until you get close to the City Centre end of the line. Airport to Botany RapidTransit however, has two Metropolitan Centres (CC2M has none) and the surrounding is multi use zones beyond that. As it was explained in a recent presentation I later wrote on, single use zoned land makes Transit Lines hard to be viable to their full extent (unlike multi use zones). So simply put could Metropolitan Centres make or break RapidTransit especially with accessibility and social equity. Quite a few things to work through early on in the projects before we even hit route selection and procurement for construction works!